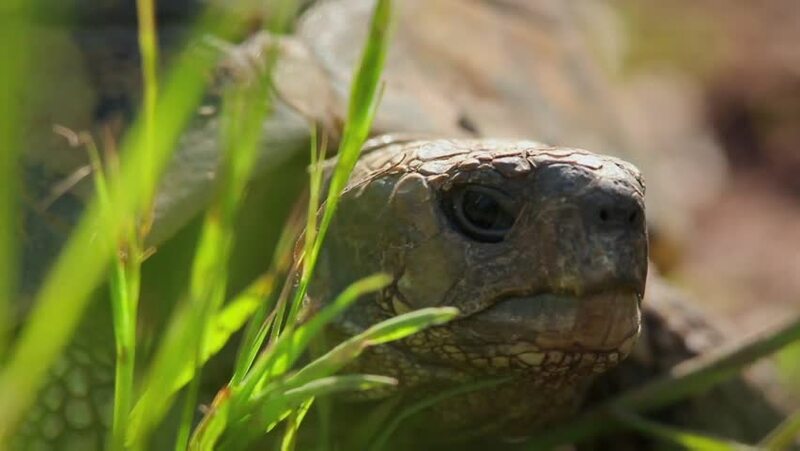 Turtle close-up. Sunny day. Opens mouth.